Linux becomes a platform that can be used to create realworld, working chips when freely available tools are used in concert. Designing many of today's circuuits would be impossible without the aid of SPICE—the Simulations Program with Integrated Circuit Emphasis. One can compile scientific and engineering code under Linux using free FORTRAN 77 options. 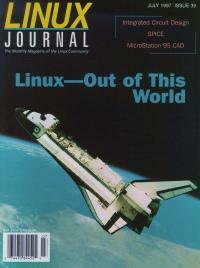 Plant experiments run by Linux ride the space shuttle. From the Publisher Is Linux Reliable Enough?